Norwegian Cruise Line had a busy year by spending a large sum of money upgrading currents ships in the fleet. The cruise line didn’t launch a new ship in 2016 so instead made up by improving older ships. The fleet upgrade is part of the “Norwegian Edge” program where $400 Million is being spent to make sure the very best is being offered to guests. The cruise lines new Harvest Caye private island resort is also included in the program. The island recently opened just off the southern coast of Belize. Norwegian Dawn was the very first ship to call at the island on November 17, 2016. Norwegian Cruise Line posted a video online showcasing what’s been done so far. We get to see some neat time-lapses and highlights of several onboard spaces as they come together. Some decent before and after views are showed where the improvements really can be seen. So far five ships in the fleet have been renovated since 2015, Harvest Caye has opened and Great Stirrup bay in the Bahamas is being improved with an opening in 2017. Norwegian Epic went through dry dock in October 2015, Norwegian Gem in November 2015, Pride of America in March 2016, Norwegian Sun in May 2016 and Norwegian Dawn in June 2016. Guests can now enjoy new enhancements and features across all of those vessels. 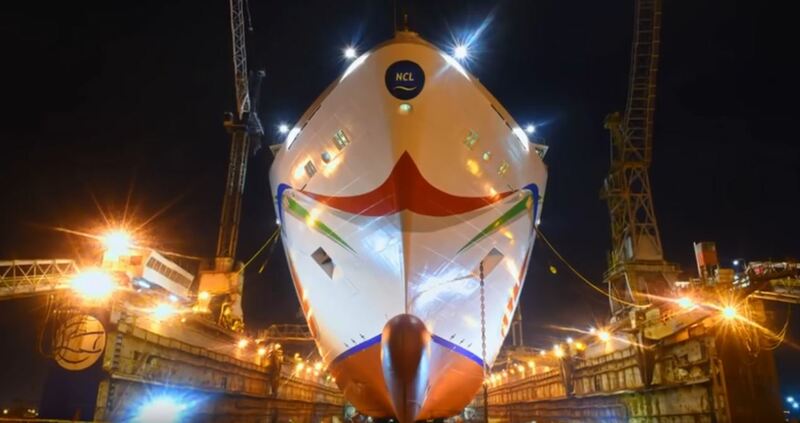 We can expect NCL to always continue improving the fleet and private resorts. As we go into to 2017 the 168,800 gross ton Norwegian Joy will be welcomed, the first ever NCL purpose-built ship for the Chinese market. As always, Cruise Hive will keep readers informed and updated on any new cruise ship news.